Last week, Wired Magazine and Gizmodo carried two separate stories stating they can now reveal the identity of Satoshi Nakamoto. Satoshi Nakamoto is believed to be a person/group that invented bitcoin but used the pseudonym with their existence virtually unknown. The person in question was a University Professor from Australia, with all pointers and timelines showing that he was indeed Satoshi Nakamoto. Bitcoin is a global digital currency based on distributed computing instead of gold and banks. Bitcoin has evolved from a term for the nerds and geeks of the world with over $2 Billion transactions daily and over 400,000 businesses accepting the currency. 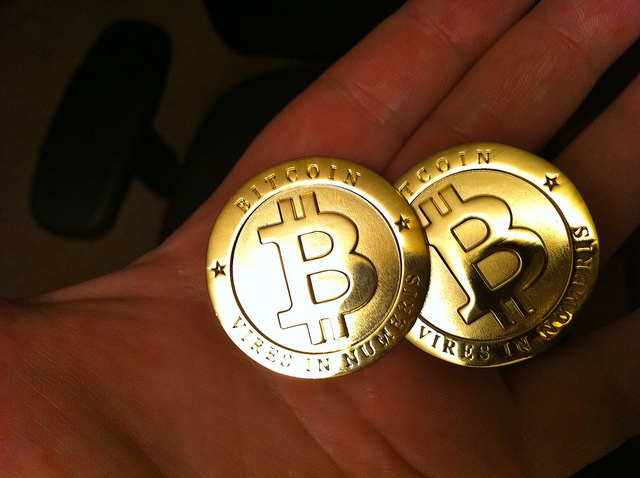 Bitcoin is particularly revered for its Block Chain technology. For those who are less familiar with the ins and outs of the currency, blockchain is a “general log of transactions” on which “you can see all transactions that have ever taken place or ever will take place.” In other words, if Bitcoin is used in a financial transaction, that transaction is permanently recorded in a public space which is an incorruptible universal record and tracking system. The Suit is based off the fact that Bitcoin is unregulated and Safaricom’s anti-money laundering rules. Also looped into the suit was the effecting of the suspension without Prior warning. In November, BitPesa and Lipisha sued Safaricom on what was termed as infringement of their rights to acquire and own property, fair administration as well as economic interests. BitPesa uses Lipisha as a payment gateway thereby offering BitPesa users seeking to buy bitcoin with M-Pesa as a payment option. Safaricom stated that BitPesa ought to get authorization from the Central Bank of Kenya for Bitcoin transfers. As Bitcoin is not regulated by CBK, BitPesa failed and Safaricom concluded the transactions conducted by BitPesa via Lipisha contravened its Anti-Money Laundering. Safaricom alleged it could lose its its money transmission license due to BitPesa’s work with bitcoin. The judge recently upheld the suspension of Lipisha further stating the case will continue. The Central Bank of Kenya has since released a statement on the matter of BTC. The CBK calls Bitcoin form of unregulated digital currency that is not issued or guaranteed by any government or central bank. The statement goes on to state that domestic and international money remittances in Kenya are regulated by the Central Bank of Kenya act and to this regard, no entity is currently licensed to offer money remittance services and products in Kenya using virtual currency such as Bitcoin. BitPesa on its part commended the statement by the CBK calling it an important first step in public dialogue on the technology covering crypto currencies according to Standard Investment Bank. BitPesa further called for dedicated legislation governing bitcoin use as is in the developed jurisdictions. In 2014, the US Securities and Exchange Commission issued a warning to individuals with regards to the negative qualities of Bitcoin. The SEC said Bitcoin’s credibility and trust was not guaranteed due to its short existence in the market. In addition Bitcoin transactions were handled through blockchain which made it hard for law enforcement agencies and the SEC to investigate Bitcoin related cases. Early this year, The Commodity Futures Trading Commission, the body mandate with regulating the trading of futures declared Bitcoin and other crypto-currencies as commodities like wheat and oil. The implication of this is that CFTC can provide oversight of the trading of crypto-currency futures and options. Companies seeking to offer a trading platform for Bitcoin derivatives or futures, were also to register. This will be interesting to watch! we shall definitely keep you posted.